Nairobi, Kenya – September 27, 2018 – Disability Rights International (DRI) released a report today documenting the intense pressure that Kenyan parents face – to murder their own children – if they are born with a disability. Children with disabilities are considered cursed or possessed. And throughout Kenya many believe that having such a child is punishment for the sins of the mother. 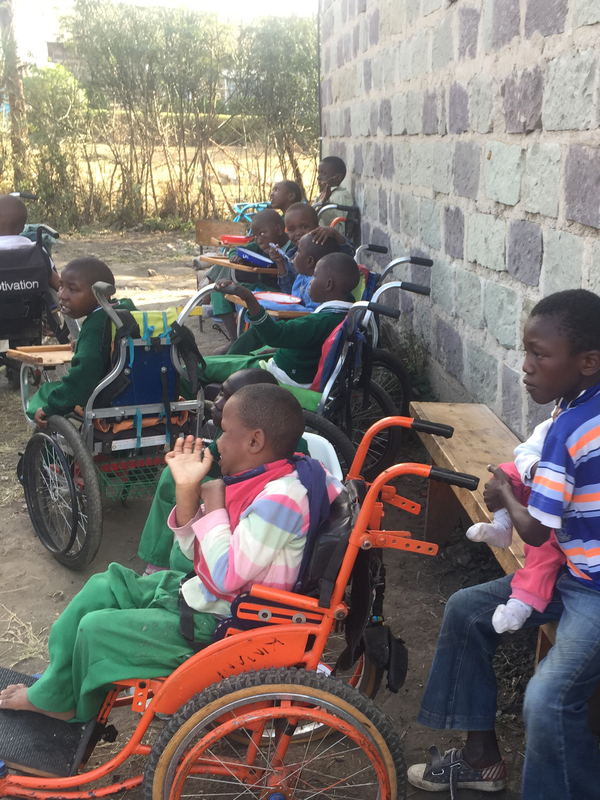 Children with disabilities tied to wheelchairs in an orphanage in Kenya. Photo by DRI. “Over a two year investigation, DRI interviewed ninety women who elected to keep their children born with disabilities. All the women said it was common for parents to be pressured to kill their babies with disabilities and they reported to us that many babies are killed at birth,” said DRI Associate Director Priscila Rodriguez. Many of the mothers also told DRI that they were discharged from hospitals after giving birth without ever being told that their child had a disability. In some cases, doctors and nurses did not want to treat them or their babies for fear that the “curse” or disability might be contagious. They also described being shunned by families and the community – children with disabilities are not allowed to attend school and parents will not permit their children to play with them. DRI also visited twenty-one orphanages across the country where we documented severe neglect, physical and sexual abuse and torture. Orphanages for children with disabilities were particularly appalling. We found one facility where there were 500 children crammed into several filthy rooms and passageways. An older child was guarding the door with a machete and whip – to prevent them from escaping,” said Rodriguez.